When the garden gives you peppers, make homemade hot sauce! This recipe tastes like Frank’s Hot Sauce and it’s ready in 15 minutes. The best part though, is that it costs a whole lot less to make! You know that cool section in the grocery store and fancy gift shops? The one with those fancy sauces and spices that you just want to buy, but you’re afraid to plunk down $10 for a bottle of awesome looking hot sauce… because… well, you don’t know how it tastes (flavor wise), and you don’t know if it’s too hot or not? If you’re lucky, some of the gift shops may have toothpicks you can dip in to sample, but usually you’re left guessing as to the flavor and heat index of the sauce itself. Fear not! We have the perfect solution for how you can build the perfect homemade hot sauce according to what your taste buds desire. 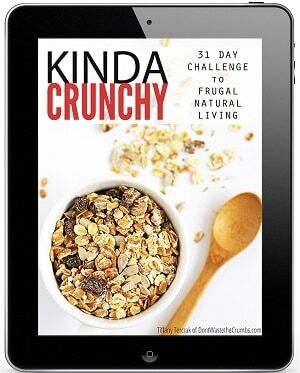 This recipe is truly customizable, simple and takes only 15 minutes to make! Do you want to make something truly unique, or ridiculously hot? Go ahead. Would you prefer to make something a little more traditional like Frank’s Hot Sauce? Easy. 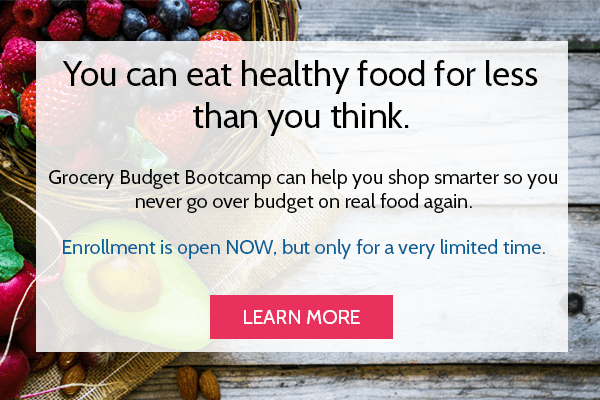 We’ll show you how. 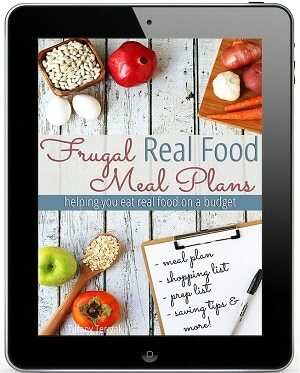 For this tutorial, we primarily used Fresno Chile peppers for two main reasons. They are pretty mild with a little tang and adding heat is easy with the drop of a single habanero pepper. We also had a TON of them in our fridge from my father-in-law. If you’re concerned about what’s hot and what’s not, here is a sample heat index for some of the most popular types of peppers (taken from a variety of sources and chopped to fit accordingly). Note, the measurements are in Scoville Heat Units, which is how “hot” the pepper actually is. 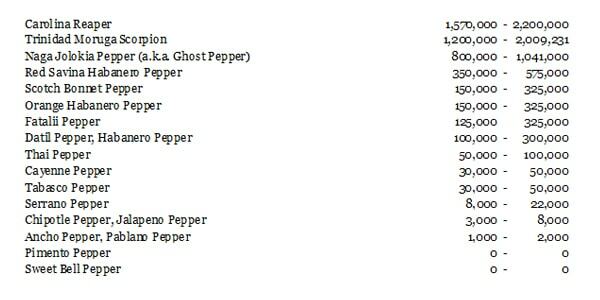 Note, the Fresno peppers we used ranked right around 5,000 Scoville Heat Units, which is further down and on the mild side of peppers. So before you begin, safely pick your poison. : ) As in, choose the correct pepper for your desired heat level. If you’re unsure, choose a pepper that’s on the mild side (like the Fresno) and pick up a few Habanero’s on the side to increase the heat if necessary. Also, if you’re concerned about color, you’re going to want to choose a pepper with the desired color that you want for your sauce as well. Note: If you’re making your own homemade Frank’s hot sauce, use cayenne peppers! The gloves are for your own protection, especially if you’re working with a crazy hot pepper. The oils from the pepper can rub off onto your hands without you even knowing it, or without any adverse reactions. That is, until you go to wipe your eye or scratch your nose or whatever. The oils can easily transfer and cause all sorts of irritation in places you don’t want to be irritated! Special note to contact lens wearers – wear your glasses for this one! If you’re concerned about organic, remember that hot peppers are in the Dirty Dozen and you’ll want to buy organic (look here for the most current Dirty Dozen and Clean Fifteen lists.). Whether you buy organic or not, be sure to wash using an all-natural produce wash (because even organic foods can contain pesticides!). Cut the tops off of your peppers and slice in half lengthwise. Pour the vinegar into a sauce pan/pot, add peppers, salt and garlic. 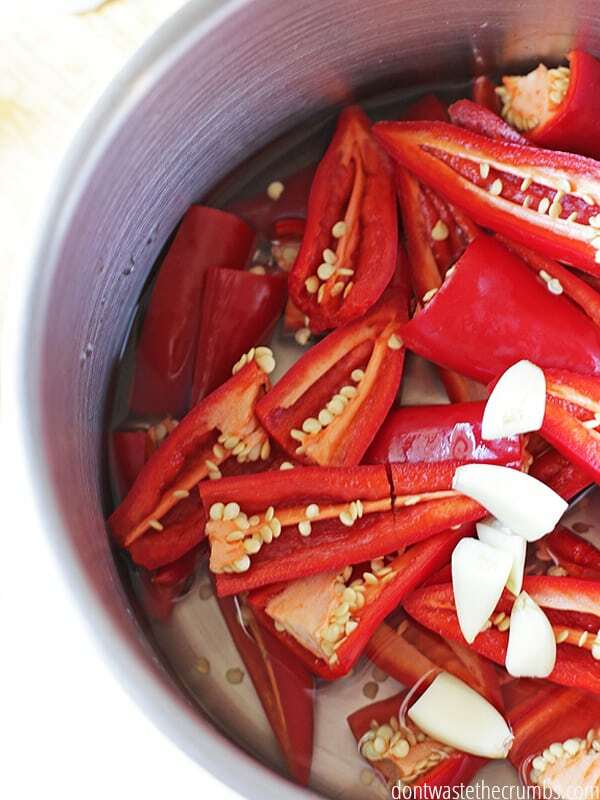 Bring to a boil and reduce heat to a low boil until peppers are soft (about 10 minutes). 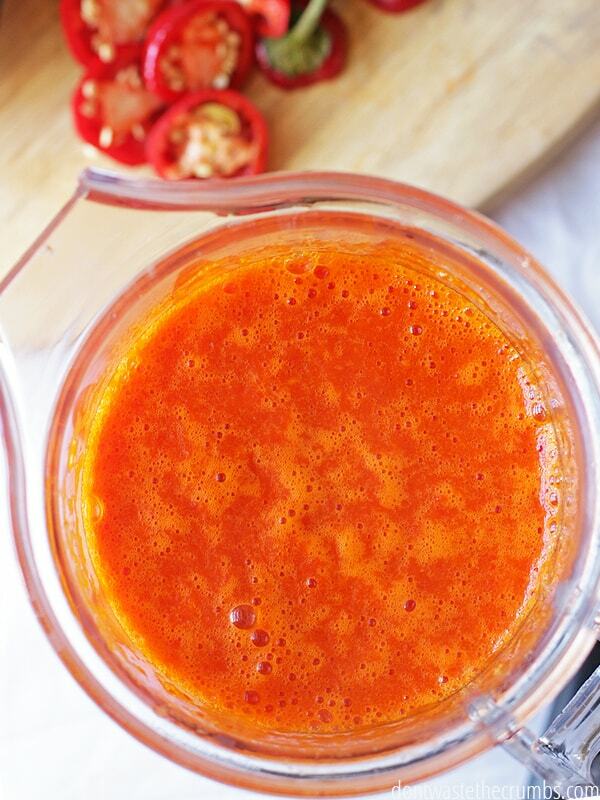 Pour everything into your blender (I use a Blendtec like this one), including peppers and vinegar. Blend it (seeds and all) until liquefied. Add additional heat if desired. 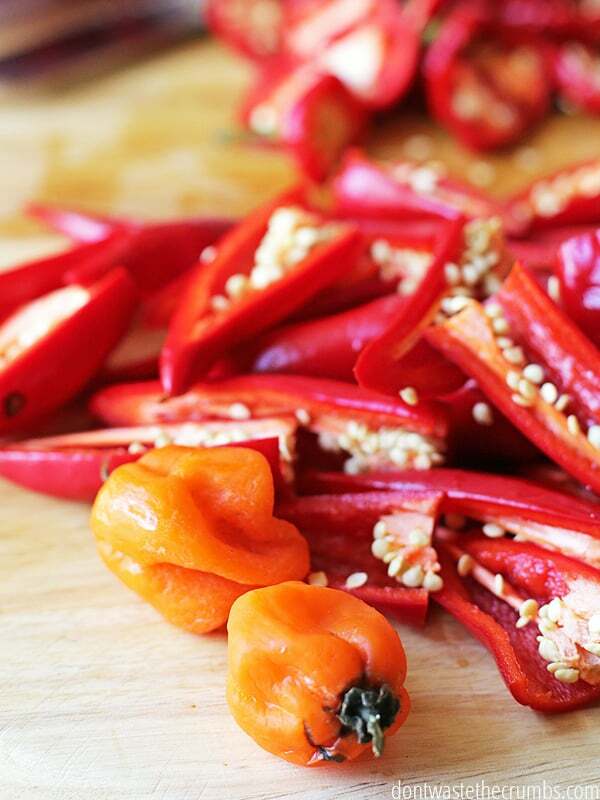 If you like it hot, add a Habanero (or half of one), re-blend and re-taste. Enjoy. You now have hot sauce! Note: This additional pepper isn’t cooked. We don’t recommend adding “additional heat” when you’re cooking the peppers on the stove when you make this the first time. This gives you the chance to adjust the heat after the fact, little by little. Once you determine how much heat you like, feel free to add those additional peppers to the ones you cooked earlier in subsequent batches. This hot sauce continues to improve with age after the ingredients have had time to fuse. If you’re able to, make this 1-2 days in advance. Also, this sauce tinted our blender a lovely shade of orange. We have been able to get the color out over time, but heads up if you care about the aesthetics of your kitchen appliances! Homemade hot sauce is awesome sauce! When the garden does well and we get an overabundance of peppers, its time to make hot sauce! 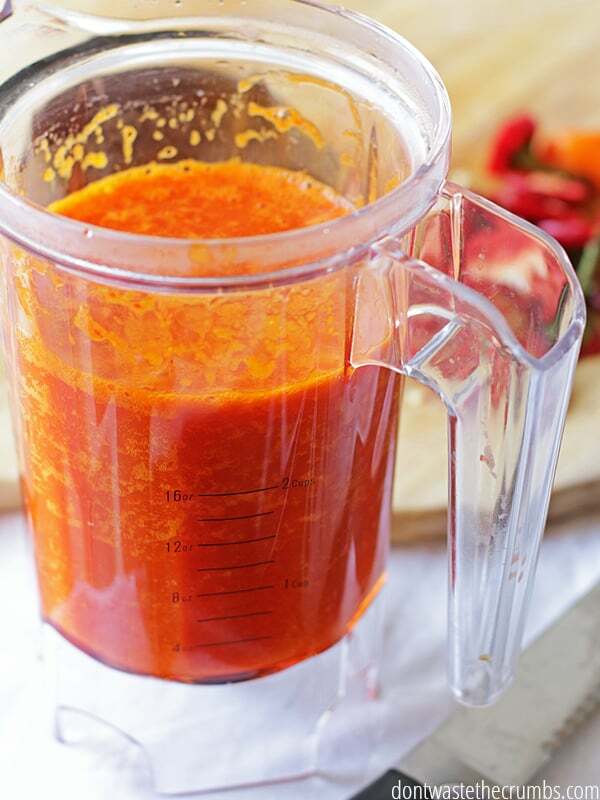 Using a blender like this helps make the smoothest, creamiest hot sauce in town. Put on gloves (kitchen-safe) and wash the peppers. 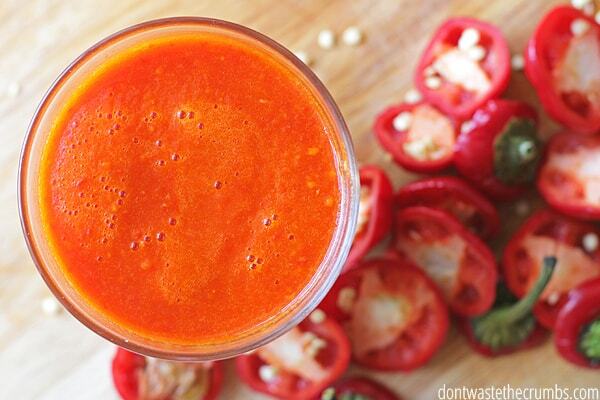 Pour everything into your blender, including peppers and vinegar. This additional pepper added to the blender isn't cooked. We don't recommend adding "additional heat" when you're cooking the peppers on the stove when you make this the first time. This gives you the chance to adjust the heat after the fact, little by little. Once you determine how much heat you like, feel free to add those additional peppers to the ones you cooked earlier in subsequent batches. How hot do you like your hot sauce? Which peppers would you choose? You’re so welcome Ruthie! You’re gonna love it! This should last a few weeks in the fridge Bobby. It was good for several weeks in our fridge Sue. Use the smell test if you aren’t sure! How long do you think you can store this hot sauce in a mason jar if refrigerated? I would love to know the same thing! I’m thinking maybe 1-3 months? Yes! The vinegar is a natural preservative. Ours lasted in the 1-3 month range without issue. I love this recipe! I like very hot sauces, so I went with five habaneros, and threw in a couple baby carrots for the sugars. Even my spouse, who doesn’t like heat, loves the smell so much that we are going to make a super mild version next. 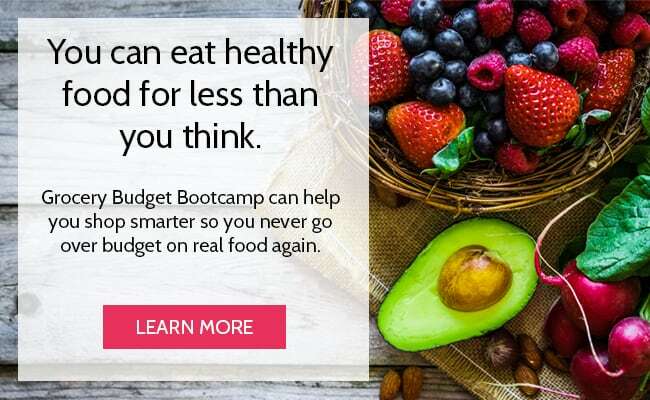 Ooh – I didn’t even think about adding another veg for sugar. Good call Dan! Please do let me know how the super mild version turns out! I make mine occasionally with mango. Love the combination of fruity and hot. Hi, my name is Harvey. I just finished making the hot sauce and I’m letting it cool. My question is will this sauce stand on the shelf after its made or dose it require refrigeration ? Hi Harvey! With the vinegar content of the sauce, it should be fine on the shelf *in theory*. However, I would refrigerate the sauce and look at the canning requirements if you want to store it on the shelf. Tried it just as you said. Awesome. Brings out the best flavor when added to food. My garden is going crazy this year. I have Cayenne, Habanero’s, and lots of Jalapenos. I added carrots to the recipe, let it cool after cooking before blending, then bring back to a light boil before filling ball jars. I have made sauces with different quantities of the three from my garden. Aside different heat levels all are wonderful and way better than store bought. I agree – homemade hot sauce is SO much better than store-bought! This sauce is awesome. Flavorful and hot but doesn’t kill you. So good. My whole family lives it. Making a triple batch for gifts. Thanks!!!! So glad you loved it Liz!! Was reading over your recipe and had a few questions. First things is I grow supper hots ( Carolina Reapers, Trinidad Morunga Scorpion’s) I love the heat and flavor. I have been looking for an easy vinegar based recipe but have struggled to find one that i like. I keep reading about carrots or sweet potatoes being added to the recipes. What will this do overall to my hot sauce? How much should I use? I’m limited to the amount of peppers because of the short growing season here in western New York. I have another recipe that I use but wanted something different. I also plan on making some pepper jelly this year as well. Hi Matthew! I’ve never added carrots or sweet potatoes myself, but my best guess is the natural sugars in those veggies help to tame the heat of hot sauce while still letting the flavor of the pepper shine. Because I’ve never done this, I truly have no idea how much to add – hoping another reader who has done this can chime in here! But if I was testing from scratch, I’d make the hot sauce as-written. I’d also have maybe 1/2 cup steamed carrots and steamed sweet pots (separately, and each mashed) ready in another pan/bowl. I’d add 1-2 tbsp of hot sauce to each and taste, adding more hot sauce until I’ve reached the consistency and flavor that I like. Then do the match backwards to match how much hot sauce you currently have. I’d also make a batch of plain (if you have some to spare), a batch of w/carrots and a batch of w/sweet pots since flavors can change over time. Then when you open the jar in a few months, you can see how the flavors have changed and makes notes of any changes you’d like to make for next year. Best of luck!! I decided to make this out of 11 Carolina reapers, im hoping it turns out well when it is done. I did this as more of an experiment than anything else. But thanks! Do you think apple cider vinegar would give it a better taste? I know a lot of people use that. It would give a slightly sweeter taste Adam, so I guess it would depend on your personal taste preferences! How much vinegar should I be left with? I experienced quite a bit being boiled away. Should more be added? Anna – this will get you about 1 1/2-2 cups of hot sauce. Thank you for this recipe! With my CSA we had an overwhelming amount of Krimzon Lee peppers and I was able to use them all up to make hot sauce in no time! Mine is green but it tastes delicious! So the restaurant I work for just changed chefs and there was a purging (throwing out) of some really nice product. Managed to get my hands on an assorted 7lb bag of beautiful, organic, locally grown chilis before it made it’s way to the dumpster. Everything from bananas, purple bells, shishitos to fresnos, baby jalapenos, habaneros and cayennes. That said, i was looking to use some of the spicier variety to make some hot sauce and just happened to come across your recipe. My question here is about the volume of said chilis. You list number of chilis, but was wondering if you had an approximate weight to coincide the rest of the ingredients? Many of the chillis i am thinking about using vary greatly in size and weight. Really just looking for a good chili matter to vinegar ratio. Sorry if my question was long winded, just don’t want these to go to waste. And of course, thank you for the recipe. It makes sense! One fresno/jalapeno is about 1/2 oz, so for this recipe you need about 10 oz of peppers, not including additional peppers for flavor/heat. I think this would be a great starting point! I like the sounds ofhot sauce recipe (I have not tried it yet) I assume it gets refrigerated after it’s done. How long is it good? Its good for at least a couple weeks! I believe it’s possible to can hot sauce, I just haven’t tried it myself Tara! I make and can hot sauce all summer long I use a method that takes a bit longer to cook but I am eager to try this recipe. I am not big on the vinegar flavor of store bought hot sauce so I cut down the amount of vinegar and use tomatoes to give it the acidity needed to preserve through canning. Sterilize your jars, lids and rings and fill the jars with near boiling hot sauce to 1/2 inch headspace, cap set on a towel out of drafts and wait til cool. I currently have 4 years of got sauces canned using different heat peppers each year. Next year Carolina Reapers. 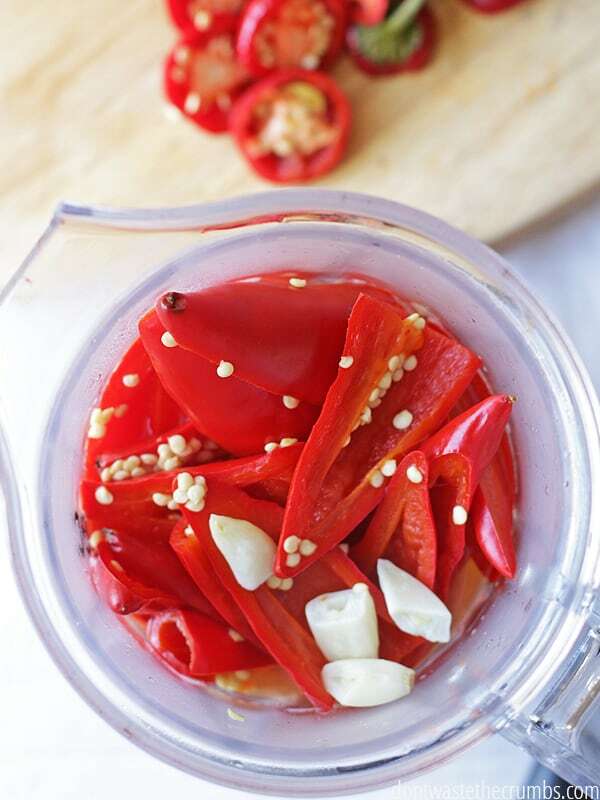 I was dreading having to ferment peppers in salt for three weeks or longer, then I found this killer easy recipe, thanks so much! Possibilities are endless. Used 5 jalapenos, 10 red habaneros, five red Thai peppers, two big tomatoes, some salt and organic white vinegar. Es una salsa muy caliente, pero que bueno sabor! I’m glad you enjoyed the recipe Oliver!! Thank you so much for sharing this recipe and technique! I had an abundance of Ghost and Carolina Reapers and wanted to make a hot sauce. I was unsure how to do it, in my head it seemed a lot more complicated. You simplified it and removed my doubt. I used distilled white vinegar with mine. The aroma is very strong while it is simmering, but I like it! Doing this while the family is gone for the day, but still have the whole house opened up to air out. I did a quick pinkie sample, and wow!! You’re so very welcome Tim! Tiffany I just made this using a variety of peppers I had left. My husband loved it. Thanks. So glad you liked it Jane! Do we have to boil it? Can I just pickle everything and then blend it? I’ve been crowing cayennes at home but this is the first year for them so they are pretty tiny. I only had a couple handfuls of cayennes so I went off of the picture you posted of the pan to determine how much vinegar to use. The sauce came out lovely! Frank’s hot sauce also uses cayenne but my homemade tastes about twice as spicy, probably due to their freshness! Thank you for the simple and easy recipe! The main concern with the bottling of home made Hot Sauce is the botulinum toxin, the botulinum bercterium can cause a paralytic illness which is life threatening in just about all cases. To kill the spores that cause this horrible illness you should always boil your home made hot suace for 20 minutes before bottling, never bottle uncooked sauces and that also means if you decide to add in another ingredient after the initial 20 minute boil then you have to go through the process again and boil the Hot Sauce for a further 20 minutes before bottling. Basically, adding that uncooked additional pepper can be really dangerous! Just thought you should be aware! You don’t have to worry about it if you hat pack and then “hot water bath” for 15 min. I can’t wait to try this recipe. I have tons of red hot Chile peppers this year. Thank you so much! Excellent concept! I say concept instead of recipe because I have jalepenos, habaneros, dragon cayennes, and other peppers growing in my garden and this inspired me to just throw in all the peppers I had (I didn’t bother chopping them in half because I’m lazy), added what looked like the right amount of vinegar, a pinch of salt, and some garlic, then followed the steps (maybe boiling for a little bit longer), and it has turned out delicious every time! So glad this framework recipe works for you Tyler! While on the Whole30 I haven’t had anything jarred or canned. Thanks for giving me flavor and options for my foods! Made this recipe today with jalapeños and it turned out great! Thanks for sharing! I’m excited to try again with some variations. Thanks for letting me know Tiffany! So glad you liked it!! My neighbors gave me a very high producing hot pepper plant which I have tried to identify and decided it’s thai peppers. These peppers are very very small but very very hot. How can I adjust this recipe to use them? I don’t know how else to use these pepper and don’t want to waste them. Our family likes Frank’s red hot, I would say that’s a good heat level. Thanks for the help! Hmm. Straight Thai peppers might be a little too hot. Maybe mix with some other peppers? 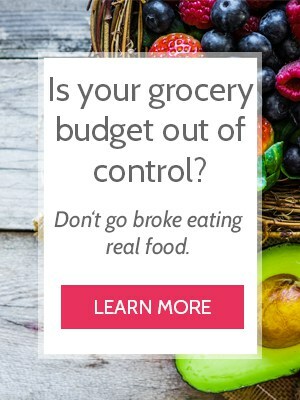 Or make it anyway and use just a teensy bit on your food? I wonder if you could use bell peppers to make the sauce go a little further and use spicy peppers for the heat? Worth a shot! I ❤️ this recipe! I’ve made it a few times, but I’m wondering if I could make it with dried peppers? You probably can Alana! I’d rehydrate them in a bowl of water overnight, just so the level of vinegar to peppers isn’t too far off. Let us know how it goes! My garden is doing well this year with many different hot peppers, I made this recipe as written using cayenne peppers I grew and it turned out great! Can’t wait to try it with some of the hotter peppers I have growing. I wonder if this is how Frank started out? I don’t know, but I wouldn’t be surprised! I just used this recipe as a baseline for a sauce made from Habeneros, Scotch Bonnets, Jalapeños and a couple of Hungarian hot wax peppers from our garden. Decided to add a 1/2 cup of carrots, a handful of cherry tomatoes and a shallot. Also I used Rice vinegar as suggested in a couple of other recipes. Going to give it a couple of days and we’ll see how it turns out! Great assortment of peppers – I hope you like it! Mine is way to thick, what is the best way to thin it down without ruining the flavor? Ooh… what if you used a mild vinegar, like rice vinegar? And only used 1 Tbsp at a time? You should use xanthan or guar gum. Either one works great, but I bought a pound bag that is probably a lifetime supply for under $10. I’ve been making hot sauce for many years, these thickeners give sauce the right body, and keep your sauce from separating over time. I use about 1 1/2 teaspoons per four quarts of liquid. They are extremely powerful thickeners. You don’t use a slurry either, just add very slowly while blending. If you really enjoy making hot sauce these gums are the way to go. Start with a T-shirt bag full of assorted fully ripe hot peppers (2018 was Frankenpepper (my own cross-breeded variety), Serrano, Cherry Pepper, Scorpion, Peppadew), enough to make 1 1/2 quarts of pepper liquor (juiced peppers). The great thing about this method is you don’t have to count or weigh the amount of peppers. Since you’re going to juice them you just keep juicing till you have enough. 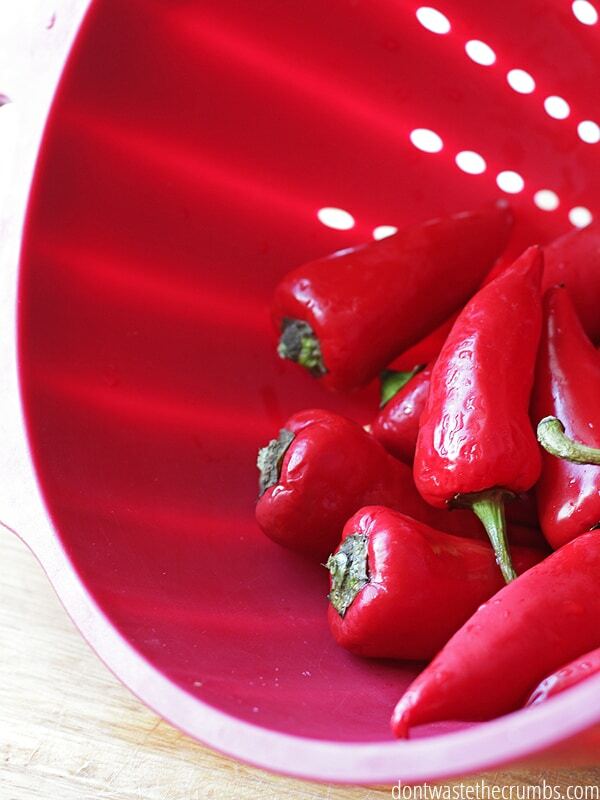 In a stainless steel pot combine pepper juice, white vinegar, and salt. Heat until mixture reaches 180 degrees, then immediately turn down heat to as low as possible. Keep at 180 for 15 minutes. Do not boil! Best hot sauce ever! I used cayenne peppers and just a couple jalapenos all from our garden. It’s awesome! Thank you! 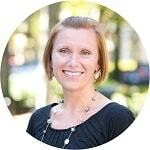 Hey Tiffany, is the reason why the shelf live is only a few weeks because of your bottling technique? I am new to make hot sauce but I hear if you get a bottle, put it in boiling water for 15 minutes, add the sauce, seal, and continue to boil the bottle for 10 more minutes, that the sauce should last several months to a year if not more. I’m not an experienced canner Vinny, and we ate our hot sauce within a few weeks – that’s why I can’t offer a longer time frame! If you can it properly (check the USDA for guidelines), I’m sure it would last much longer! Can i use powered garlic? If so how much? I just tried this recipe but changed it up a bit. I used reapers, ghost peppers, and habaneros from our garden. Out of the blender it had great flavor and a kick. I can’t wait to see what it tastes like in a few days. Thank you for posting this recipe. All my jalapeños are gone from the garden. I only have habaneros, do you think it would be ok to make with just those? I know it will be hot so only a drop would probably be required! My husband was put on a very low sodium diet due to health reasons. 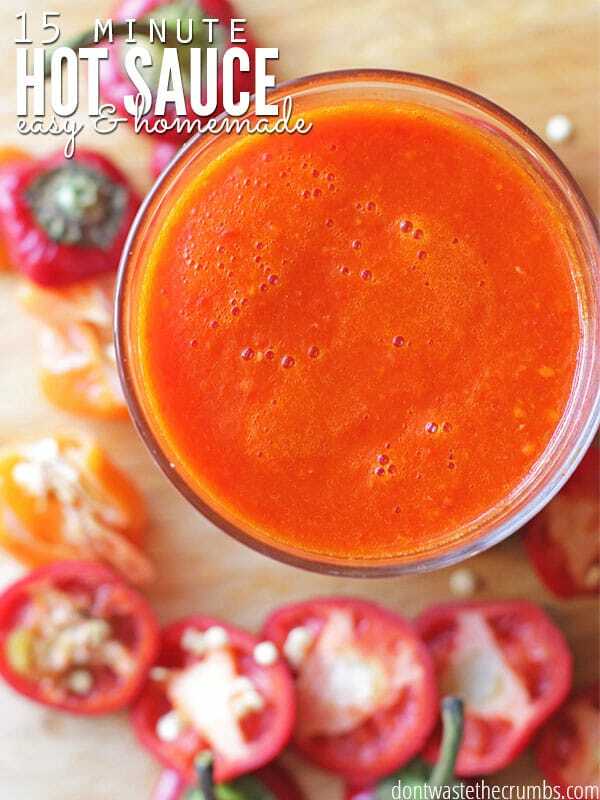 He was not crazy about the thought of homemade hot sauce until I found and made this recipe. Thank you so much this is a keeper! I make it every couple of months with either our garden peppers or what we can find at the store and it is so much better than store bought. You are a lifesaver! Hi Tiffany! I am super sensitive to spice so I bought pimento, ancho, and poblano. I am eager to try this recipe this week. Cheers and thanks for your awesome site; I stumbled into when trying to figure out how to make a very low-spice hot sauce.